Insects play a crucial part in the ecology of the planet, but when they start playing a part in the ecology of your household then they've become a pest control problem and it's time to call in the experts. At PestControl.co.uk we will be able to get rid of any kind of insect which has invaded your property, using safe and efficient practices. We will be able to employ the best suited pest control method for your particular brand of insect, many of which you will find dedicated pages to on this site. Of course what really matters is that they are little creatures that you want to get rid of. 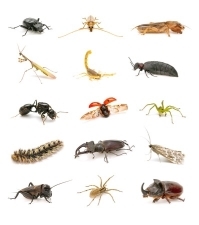 There are many kinds of insects, causing a variety of different pest control problems. Some of these can be prevented through precautions you can take, such as having your home proofed for instance. On the other hand, there are some insects which come about due to conditions that you cannot control and they simply must be eliminated when they arise. That is a very brief explanation of how insects which tend to cause pest control problems are generally dealt with. As mentioned, you will find more information on their respective pages. No matter what kind of insects you are dealing with though, there are a few general principles which hold true in terms of prevention and eradication. Insects need food and water to survive, so in most cases the problem is that they are getting these things from your property or they wouldn't be there. Therefore, you can keep the majority of insects (and indeed pests in general) away by keeping a clean, tidy and well maintained property. If there is nothing to eat and no malfunctioning plumbing to act as a water source, you will prevent most insect infestations. There are some exceptions to that, however. For instance, bed bugs feed off their host and travel with people, they do not respond to the environment. This is also true of fleas for animals. Wasps and bees simply require somewhere safe for their nest. When it comes to getting rid of insects, it depends very much on the situation and what kind of insect you are dealing with. 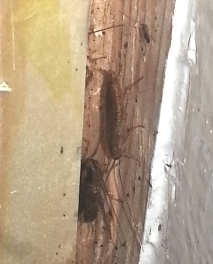 It is best to get expert pest control advice once you have an insect infestation.